Introducing Gift Cards, just in time for the Christmas season! 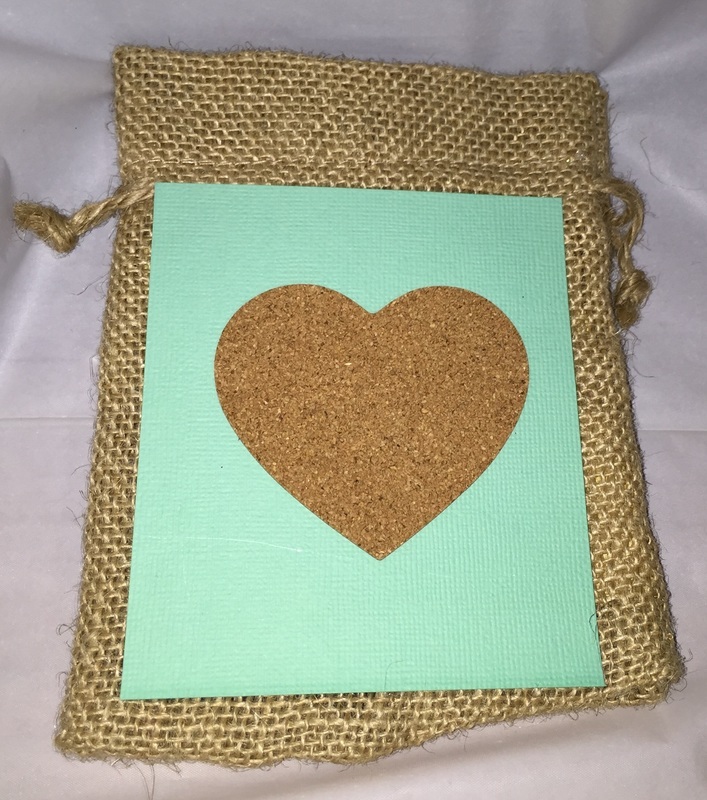 Gift cards are a thoughtful way to bless that special person in your life by giving them something they really want. Our Father's Farm has many options from Organic veggies to Apricot Kernels, Raw Honey to Apricot Oil, Organic Chocolate to Gluten Free BBQ sauces, Chaga to specialty teas, Hallelujah Acres products to delicious jams. We have something for everyone. With our special gift cards, you get to chose how much you want to give. Get yours in time for the holidays! 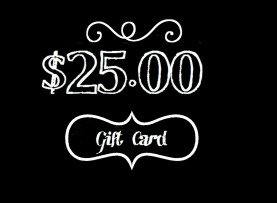 Pre-order a gift card for $25.00 and send it to anyone. 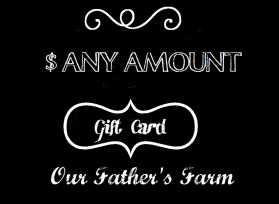 They can use the gift card to make purchases online or in person at our store! 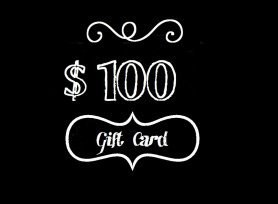 Pre-order a gift card for $100.00. You can send it to anyone. They can use the gift card to make purchases online or in person at our store! ﻿With this gift card, you get to decide how much you would like to bless someone with. It can as low as $20 right up to $500, the best part is you get to decide!